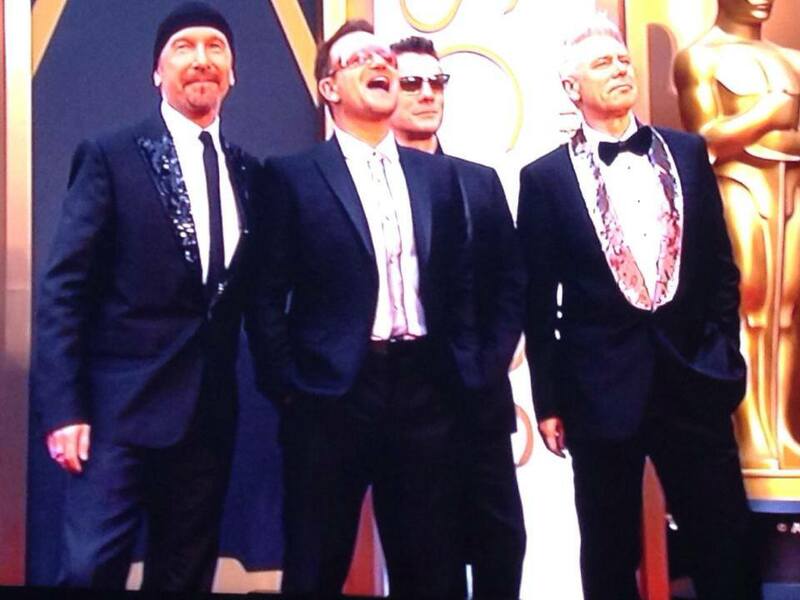 U2 once again lost at the Oscars. 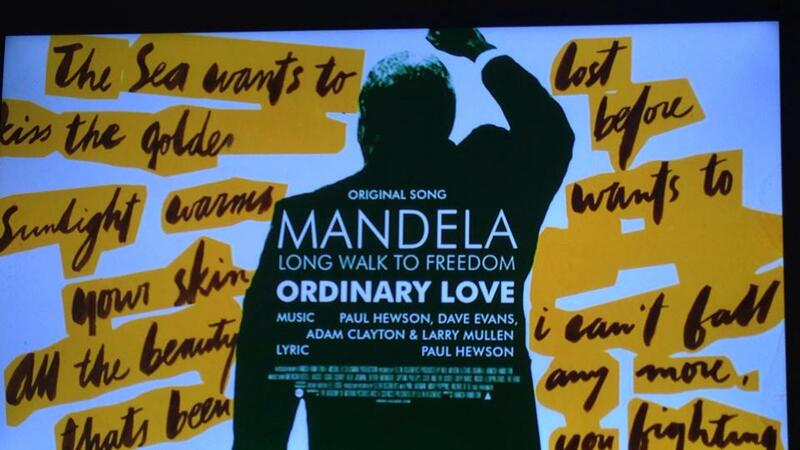 U2’s Golden Globe winning “Ordinary Love” was nominated for Best Original Song from Mandela: Long Walk To Freedom. The song was inspired by Nelson Mandela, taken right from his letters to his wife. Unfortunately, U2 lost to “Let it Go” from the Disney cartoon Frozen. Not sure how an important song about Nelson Mandela loses to a song from a cartoon. Maybe because Disney owns ABC and ABC broadcasts the Oscars? This was not the first time U2 has lost the Oscar for Best Song. In 2003, Golden Globe winner “The Hands That Built America” lost the Oscar to Eminem’s “Lose Yourself” from 8 Mile. I was okay with that loss because Eminem is a serious artist and “Lose Yourself” is a great song – and not from a cartoon. U2 performed an acoustic version of “Ordinary Love” to a standing ovation at the Oscars. It was clear who the audience thought deserved to win.